Hamilton Storage announces the availability of a six-channel head to cap and decap large format tubes such as the Nunc Low Profile 5.0 mL Externally-Threaded Universal Tubes. Many researchers prefer the large format tube geometry as it enables storage of solid and liquid samples up to several milliliters, with easy access using forceps or standard-length pipette tips. On top of the tube geometry benefits, the automated processing step allows researchers to increase sample throughput, refocus attention on higher value activities and reduce or eliminate the risks of sample mishandling or contamination compared to manual methods. System compatibility includes the LabElite DeCapper and I.D. Capper from Hamilton Storage, and the Decapper 500 and 550 Series tube capping systems from Thermo Fisher Scientific. Additionally, the six-channel head may be used with the LabElite Integrated I.D. 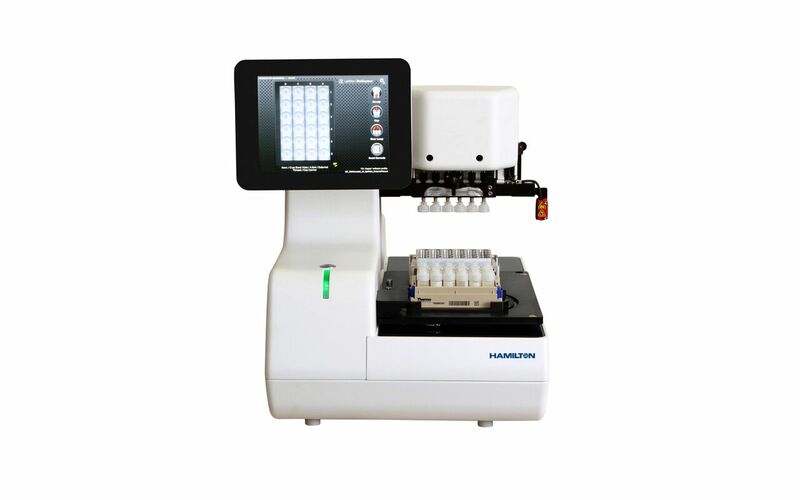 Capper on the Hamilton Microlab Star deck as part of a fully automated, hands-free workflow. The six-channel head is easily and quickly exchanged with other heads to enable laboratory-wide capping and decapping of tubes in 24-, 48- and 96-format racks, and is ideal for applications in biobanking, agriculture, genomics, biotechnology, pharmaceutical, clinical and more.